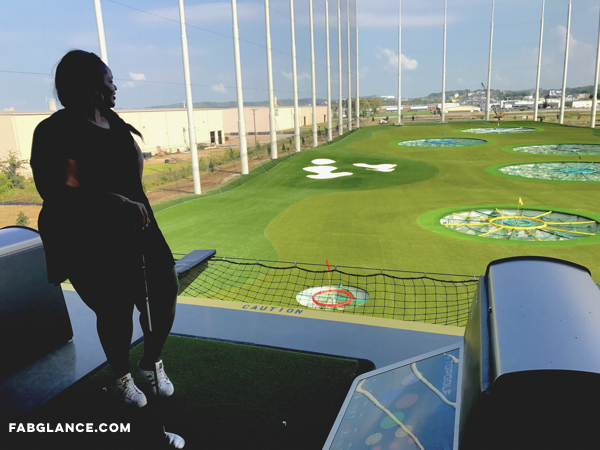 VLOG | Topgolf Nashville opens for FABULOUS FUN! On Friday, September 22, Nashville welcomes a new addition to family fun and nightlife newness! 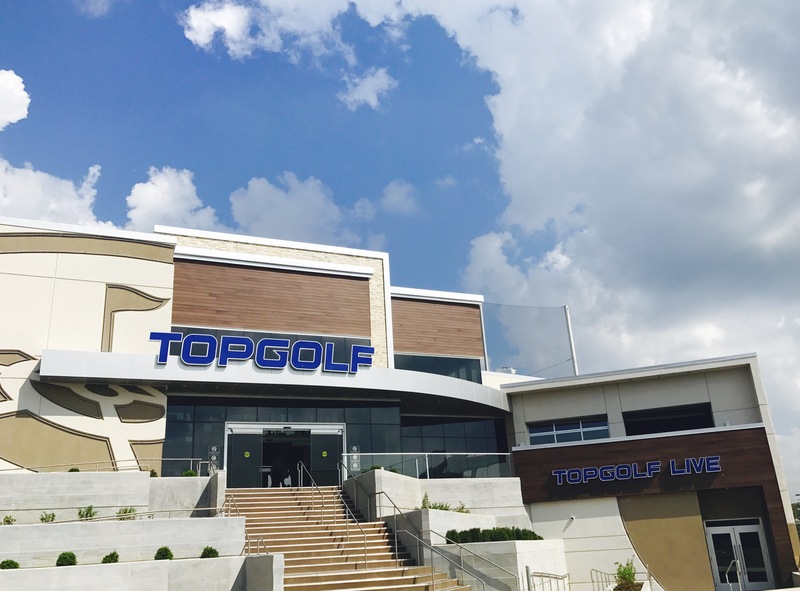 The Topgolf brand has hit the city and it lives up to its name. I was invited to preview the new Topgolf facility that sits at end of the Jefferson Street bridge. This sweeping facility is more than golf. It’s a event space, family center, bar, and restaurant. You might wonder how can Topgolf do it ALL and still appeal to its expected demographic – golfers. One visit to the facility and you’ll see the brand has contemporary approach to all things FUN. 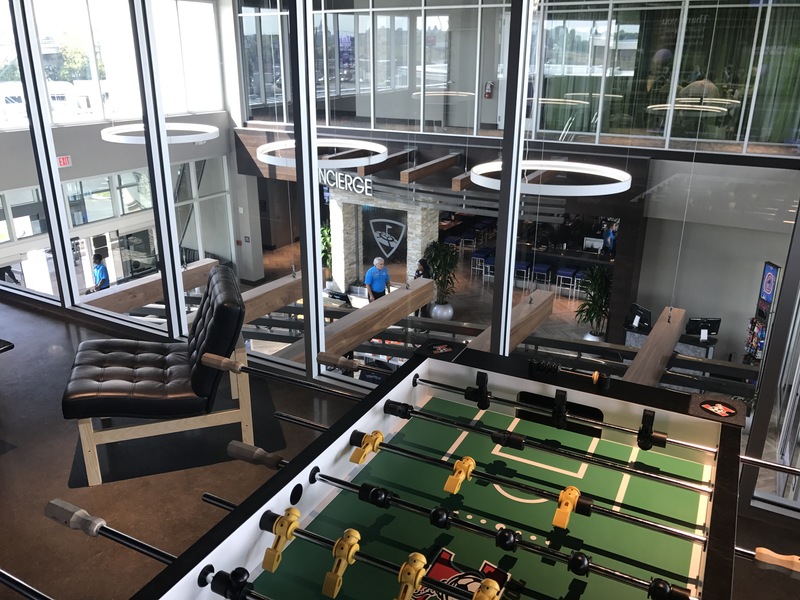 With more than 300 staff members, Topgolf Nashville boast a celebrity chef, an on staff Golf Pro for lessons, and a courteous wait staff who is well-versed in all things Nashville. The facility also has ample space for corporate events, a huge music venue with VIP access, and more bar areas than I could count. The team has studied the ways of Nashville & Tennessee and boasts a menu of Hot Chickeb sandwiches, an exclusive Jack Daniels, and a commitment to bridging the gap between Nashville’s family fun, all types of music, and nightlife. Guys, they really got it right! But is it FUN? Omg! Yes! When I first thought of Topgolf, I thought it would only be fun for golf enthusiasts. I mean, I’ve hit a ball or two, but you won’t catch me watching a PGA tournament. 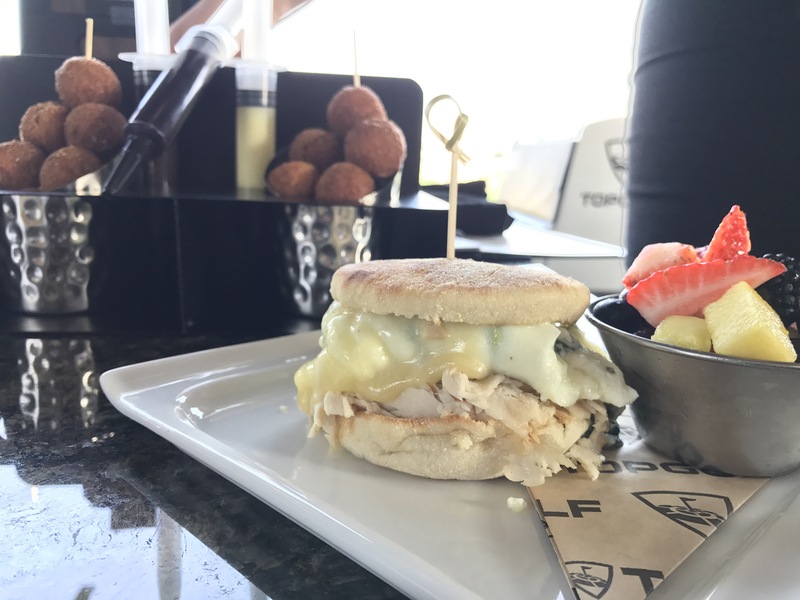 Topgolf uses technology, food, and music to create an experience that fun for every member of your party. I loved the automated scoring system, the various games for different skill levels, and the food. I’m already planning my Girls Night Out for next month! For a single person in the city, the nightlife choices can be bleak. I love the fact that Topgolf is open til 1am. 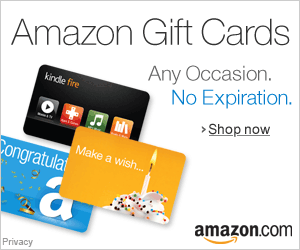 You can chill at the bar, come for a date, or take out your stress in one of 120 golf stations! Even, during the day, with free wifi and an amazing menu (y’all its the bomb!) you can have lunch with a colleague to close a deal. Can we say BLOGGER MEET-UP! Oh yeah, they have BRUNCH! You know Nashville loves BRUNCH! Want more info, check out my VLOG! I met the staff, hit a couple balls, and enjoyed a delicious meal. Topgolf Nashville is committed to making customers feel comfortable and have fun. Hey, you might find out you’re better at golf than you thought! Have you visited Topgolf in your city? Tell me what you think!